This Stunning End Unit 1,600 SqFt, OFFERS well maintained and a very clean 3 BEDROOM TOWNHOUSE WITH ENTERTAINMENT ROOM IN WALKOUT BASEMENT. This is the largest floor plan (Plan A) in Wildflower Complex also 1 of only 8 Walkouts. The main floor offers nice open floor plan with 9' ceilings, open kitchen with Maple wood cabinets and Stainless Steel Appliances. 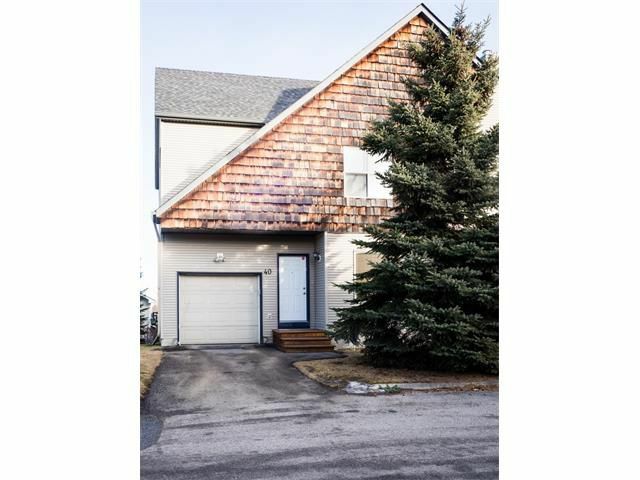 Very bright living room boasts gas burning fireplace for your cozy winter evenings and has patio door leading to East facing balcony for enjoyment on sunny days. Second floor brings you to 3 very specious bedrooms. In the master bedroom you will have FULL EN-SUIT BATHROOM, WALK-IN CLOSET AND AMAZING VIEW. You will also appreciate the convenience of the UPSTAIRS LAUNDRY. Entertainment room in the basement features rough in wires for sound surround home theater system. Single ATTACHED GARAGE has enough room for your VAN. For showing call us or your favorite REALTOR.